Peer interaction is very important for speech and language development. Children watch their peers and interact with them in a different way than they do with their parents. Have you ever seen two babies “talking” back and forth in their own special language? Peer modeling is so important for speech development. For this reason, we recommend parents involve their children in playgroups. This can be at daycare, at church, with neighbors, or with a gathering of friends. Who should be in a playgroup? How many children should be in a playgroup? What should we do in our playgroup? A playgroup is a group of young children who meet regularly to play and participate in structured activities. Playgroups should have activities designed to meet the developmental needs of the child rather than simply keeping them occupied. Any child from birth to school age can be in a playgroup. "Building blocks" of language start as early as two months of age. Language acquisition milestones continue by leaps and bounds until around 4 years of age. Between four and seven years of age, children fine-tune their existing skills. 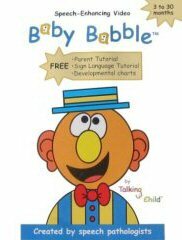 Playgroups will encourage your child's language development. Your child will learn best from children who are slightly older and, more importantly, slightly more skilled. While your child will learn best from slightly more proficient children, make sure that their ages are not so far apart that they lack common interests and cannot participate in activities together. As a rule of thumb, the younger the child, the closer in age and skill level the peers should be. Smaller is better, especially for younger children. Usually a group of 3 to 6 children is an ideal size. Free-play and structured activities are important in a playgroup. A typical schedule for children ages 7 to 15 months includes songs, finger plays, and free play. A typical schedule for children ages 3 to 4 years may include a welcome song, craft activity, snack time, free play, and clean-up song. Playgroups can also go on fieldtrips to the park, zoo, or library. Some play groups alternate itineraries. For example, the first Monday of each month focuses on free play, the second Monday of the each month focuses on structured activity, and the third Monday of each month focuses on generalization of skills through a field trip. Generally playgroups should meet weekly for approximately two hours, but even monthly or biweekly meetings have been found to encourage language.